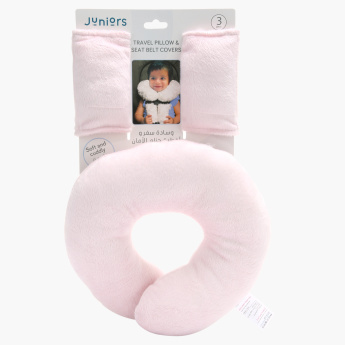 Juniors Neck Pillow Travel Set | Pink | Extra soft , Warm & Comfortable . Save SAR 8 (20.51%) – Earn 3 Shukrans What is Shukran? Shukran is the Landmark Group’s award-winning loyalty programme in the Middle East, which allows you to earn Shukrans when you shop any of our brands. 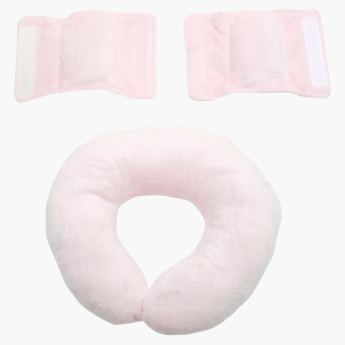 Invest in this neck pillow travel set and ensure your baby feels comfortable throughout the journey. 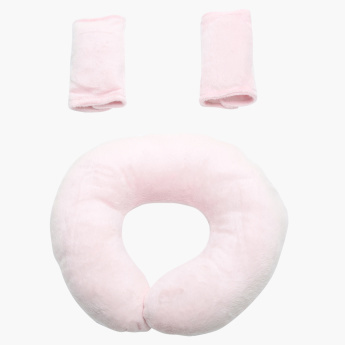 The neck pillow has a friendly design that supports the neck to prevent any kind of neck sprain to your child. Feature 1 : Extra soft , Warm & Comfortable . Feature 2 : Ideal for travelling purpose.